Alfreton Town are thrilled to confirm the signing of defender Sam Hird. Sam joins us for the rest of the 2018/19 campaign and can play both in central defence and as a defensive midfielder. Hird’s career began at Leeds United, initially as a striker before being converted into a defender; he captained the youth and reserve teams. Sam was loaned out to Doncaster in 2007 before moving to the Keepmoat on a permanent basis. A loan spell at Grimsby followed before returning back to Doncaster, Hird made 157 appearances for Donny, before moving to Chesterfield in 2012 on a free transfer where he would stay until the end of the 2017/18 season. 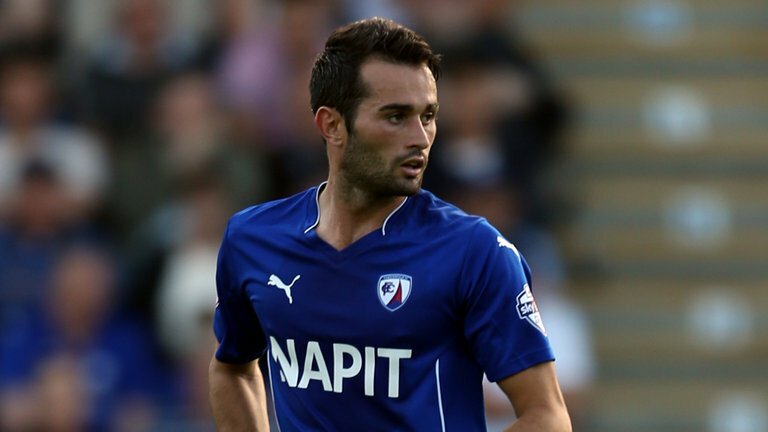 Sam was instrumental in the Spireites League Two title campaign in the 2013/14 season; he was named Player of the Year in the 2015/16 season before Hird was released at the end of the 2017/18 campaign when Chesterfield were relegated to the National League. Sam made 231 appearances in all competitions for Chesterfield, scoring ten goals.